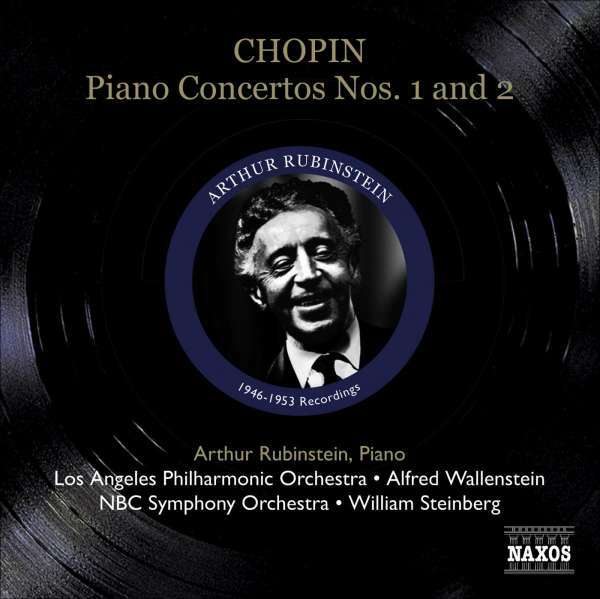 This release is the first in a series devoted to Arthur Rubinstein's 'middle period' Chopin cycle, recorded from the mid-1940s through the mid-1950s. 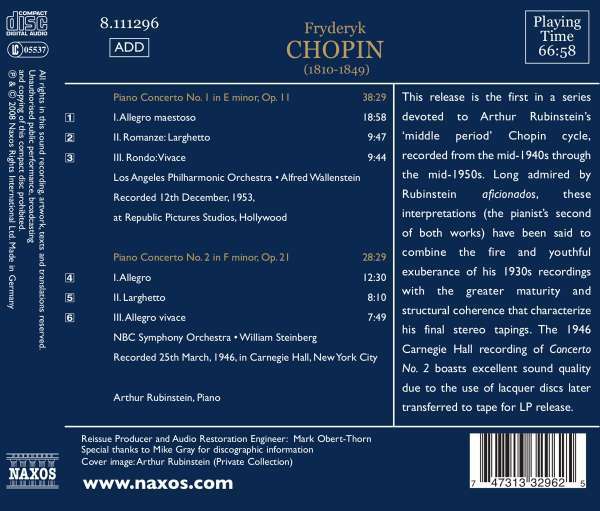 Long admired by Rubinstein aficionados, these interpretations (the pianist's second of both works) have been said to combine the fire and youthful exuberance of his 1930s recordings with the greater maturity and structural coherence that characterize his final stereo tapings. The 1946 Carnegie Hall recording of Concerto No. 2 boasts excellent sound quality due to the use of lacquer discs later transferred to tape for LP release.